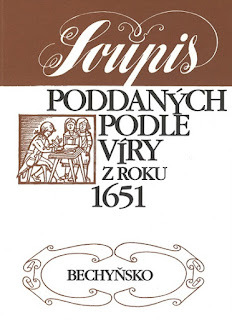 The register was created shortly after the Thirty Years' War and it was a basis for the recatholization of Czech lands. Most of the serfs were of non-catholic, yet Christian views - they were Czech brothers, hussites, we can call them protestants or evangelicals. The aim of the register was to track those people and families who were non-catholic - and persuade them (or force them) to become catholic. To be sure no one was missed the register was created. 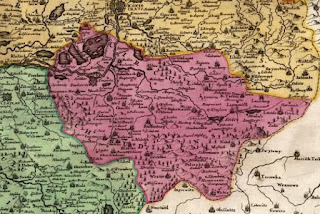 The register was created for all of the Bohemian regions. 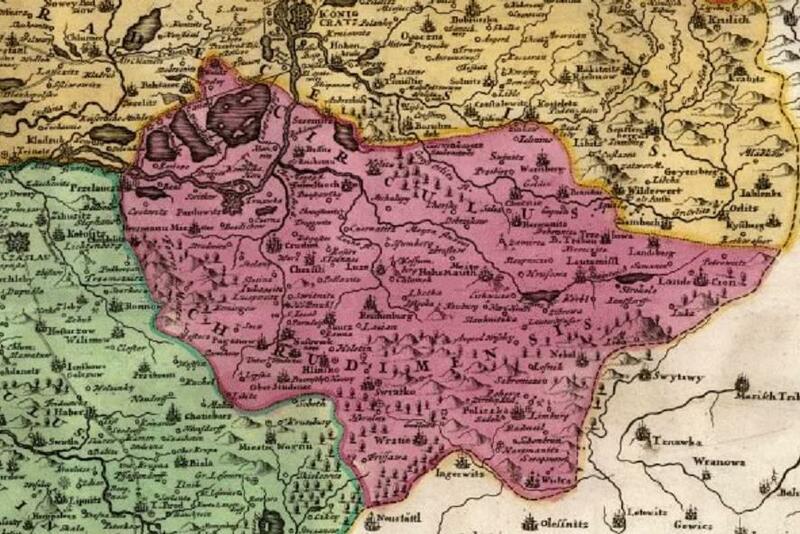 These regions were usually called after their "capitals" - Bechyně, Beroun, Chrudim, Čáslav, Hradec Králové/Nový Bydžov, Kouřim, Litoměřice, Loket, Mladá Boleslav, Plzeň/Klatovy, Prácheň, Rakovník, Slaný, Vltava (after river Vltava) and Žatec. The register was unfortunately destroyed for four regions - Litoměřice, Prácheň, Slaný and Vltava region. 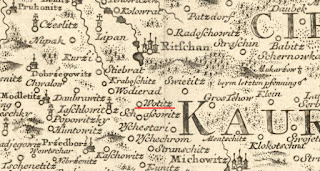 Chrudim region on a map from 1712. And what can you find in these books? There are lists of serfs divided by the estate and the town they lived in. Here is an example of a small village called Votice (today Otice) on Uhříněves domain, Kouřim region, south from Říčany. 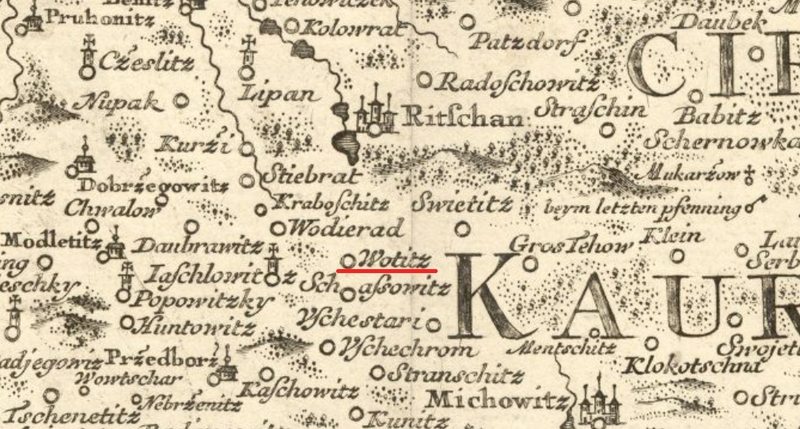 Otice on Müller's map of Bohemia from 1720. First column contains name (and surname, if available, if not, just N. is showed), second column informed if the person is serf of the domain (p for poddaný, ie. 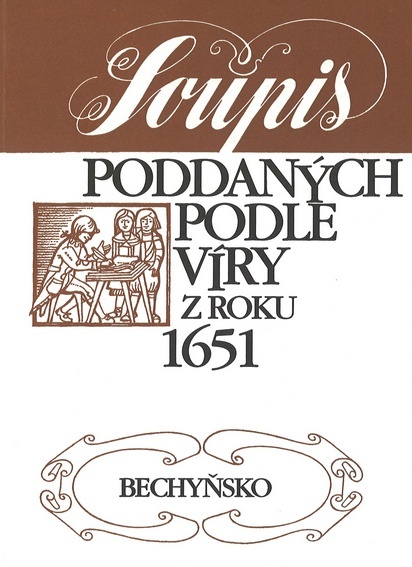 serf, np as nepoddaný, ie. not serfs of that domain), third column contains occupation or social status of the person (see list below), fourth column contains age of the person, fifth and sixth column contains information about the religion (k for katolický, catholic, n for nekatolický, non-catholic). The last column, containing +, means there is a chance to convert the person to the catholic religion. I did have a relative, sister to my gg grandfather, who had a few children and wasn't married. She was listed as "farmhand." Thank you for making a post on this! I've been wanting to look through these books for years, but was unable to find them anywhere in the U.S.! Without this post, I never would have known about the National Archives in Prague uploading them. Thanks for the post. Were there books like that for the Liberec region? 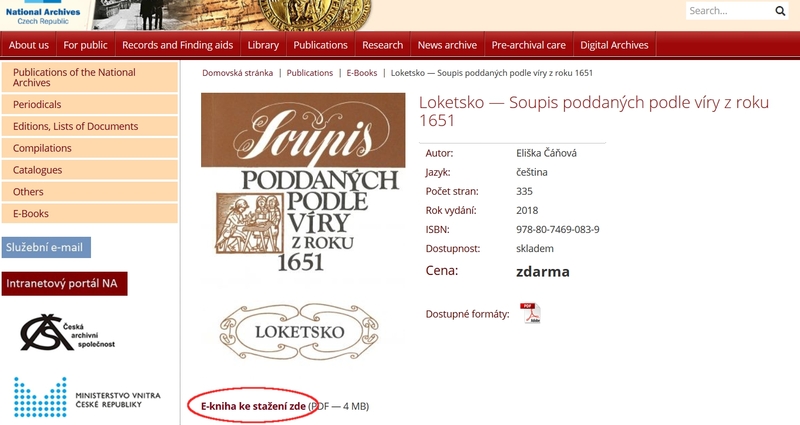 I've been looking for Lomnice nad Popelkou and Nová Ves nad Popelkou but I have not found in these books, even in Hradec Králové's ones.